Communication and situational awareness are critical on the water. This fixed-mount VHF 210 AIS radio displays AIS on the chartplotter to enhance communication, situational awareness and collision avoidance between you and other mariners worldwide. 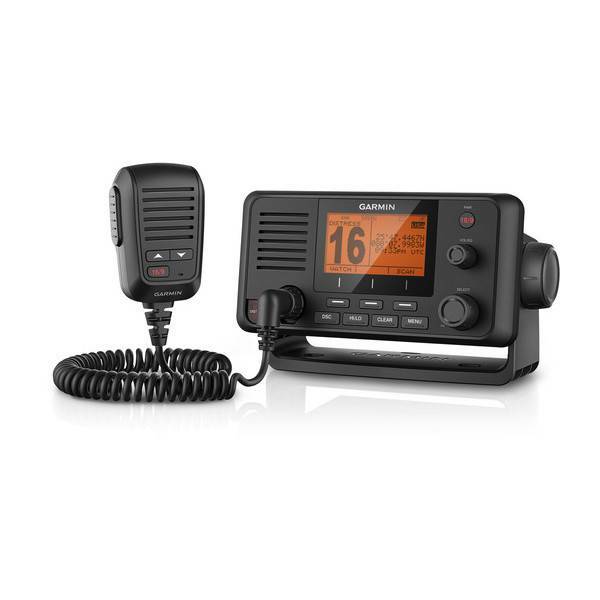 During an emergency situation, the 25 W transmit power of the VHF 210 AIS gives all fishermen, sailors and cruisers confidence at their fingertips. Easy to install and use, just plug and play via the NMEA 2000 network to compatible Garmin chartplotters and MFDs. Provides standard Class D DSC functionality (distress calling and direct calling with user programmed MMSI). Includes frequency bands for all U.S., Canadian and international marine channels and 10 NOAA weather channels. Also NMEA 0183 compatible and includes 2-way hailer system for onboard communication. Because your helm is a source of pride, the VHF 210 AIS marine radio is designed to complement the appearance of GPSMAP® 7x2/9x2, GPMAP 10x2/12x2, GPSMAP 7400/7600 and GPSMAP 8400/8600 chartplotters and MFDs.